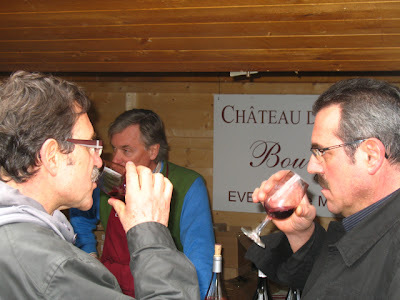 Photos from Bourgueil's invasion of central Tours in March 2010. I have only just got round to sorting these out, so I'm not sure I have got all the names right and would much appreciate any corrections or details if I have got names wrong – many thanks! Not a good photo of Vincent – will aim to do better this year! 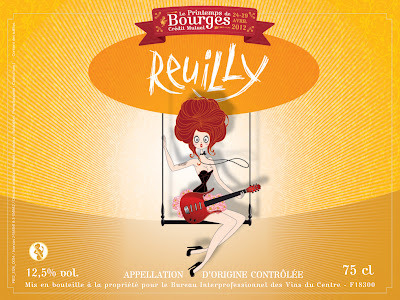 The 10th annual edition of the invasion of central Tours by the Bourgueil producers will be on Saturday 17th March. 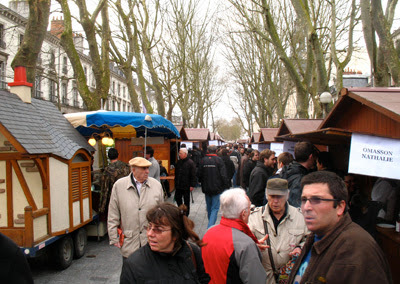 50 producers will set up camp in the centre of the Boulevard Heurteloup close to Tours station. 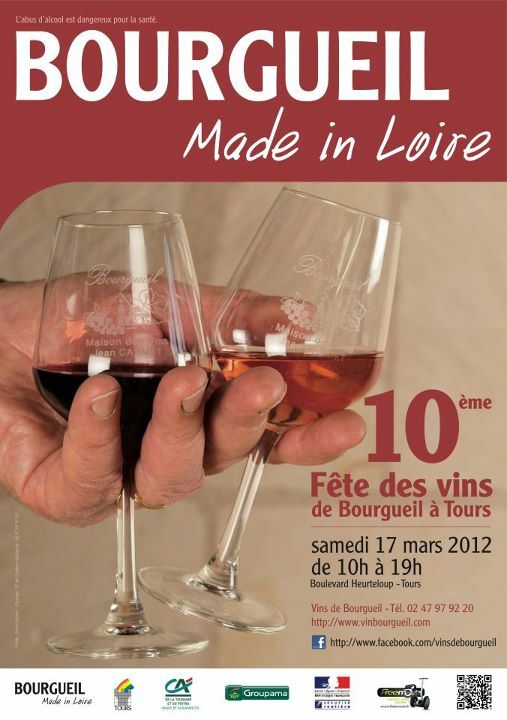 This is a very good opportunity to meet a lot of producers and taste plenty of Bourgueil from various vintages including the latest one. The invasion lasts from 10am to 7pm. Some pics from a session of trying to sort out photos an on-going task! The good Doctor Vino has a post here on Nicolas Joly in New York. 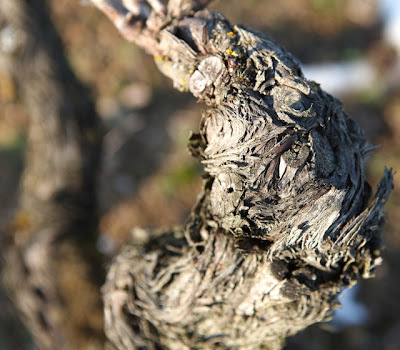 My Tuesday post this week for Les 5 du Vin is on old vines – celebrating their survival and their shapes. Le Mont is one of the three vineyards that make up the 35 hectare estate – Le Clos du Bourg and Le Haut-Lieu are the other two. The first two photos show that Le Mont is right on the edge of the Première Côte with the ground falling very sharply away to the town of Vouvray below.The part shown in the second photo is above the Huet cellars, while the first has the viaduct that carries the TGV line over the River Cher. Gaston Huet, Noël's father-in-law and Mayor of Vouvray, successfully fought to have the line moved to the east and to pass through a tunnel rather than use a cutting as was originally envisaged. 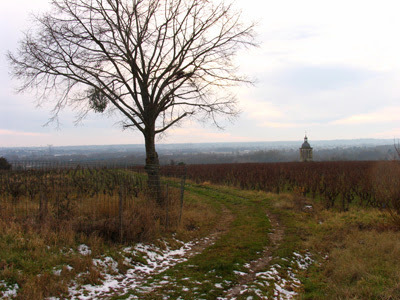 Le Clos du Bourg is also right on the Première Côte but a little to the west of Le Mont – beyond the Rue de la Croix Buisée where the Huet and Foreau cellars are located. Le Haut-Lieu, although also on the Première Côte is more on the plateau, has a higher proportion of clay and is close to the top of la Croix Buisée near the junction with the Rue Charles Bordes. 28.2.12: Following Luc Charlier's comments I've added a couple of photos of the Le Clos du Bourg showing that the vineyard slope is fairly gentle. 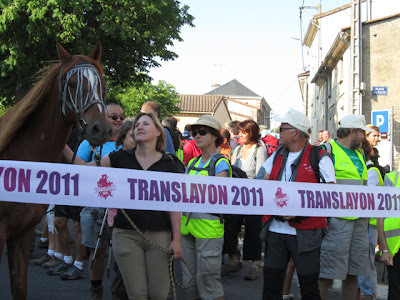 There are still a few places left for those who want to take part in the annual three-day walk down the Layon, although all the places for the horse and carriage event are now taken. The dates are Friday 8th June to Sunday 10th and you cover some 85-90 kilometres, so around 30 a day, so you need to be reasonably fit. It is well worth doing, especially the latter part which is more scenic. 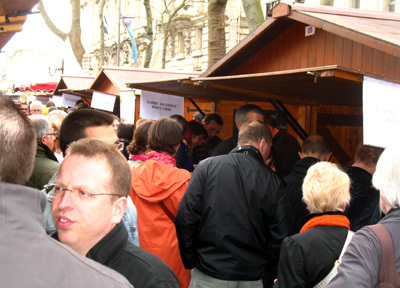 The 2011 edition started in Cléré-sur-Layon and ended at Chalonnes where the Layon flows into La Loire. As Victor de la Serna commented here yesterday Noël Pinguet is a gentleman. Noël would I’m sure not wish to destabilise the world class domaine where he has been in charge since 1976 and was owned by his wife’s family from 1928 until it was bought by Anthony Hwang in the summer of 2003. To use the French expression: il veut pas cracher dans la soupe. His departure may well have been calmer than indicated in LRVF – no smashing of magnums of 1972 or 1984 sec! 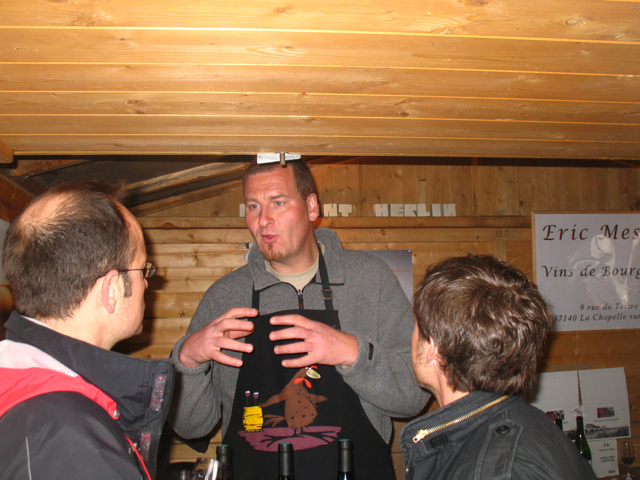 However, there is no doubt that Noël is leaving Domaine Huet earlier than was planned. 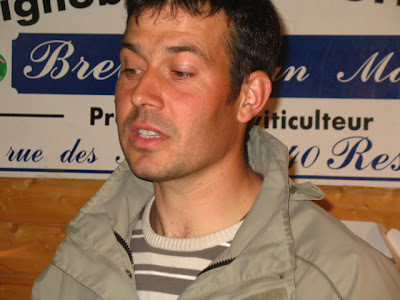 Noël actually sent in his letter resigning from his positions at Domaine Huet at the end of October 2011. He was the president and a director of Société Huet, which looks after the vines, and ran L’Echansonne (trading name L’Echansonne Huet Distribution), which looked after distribution. 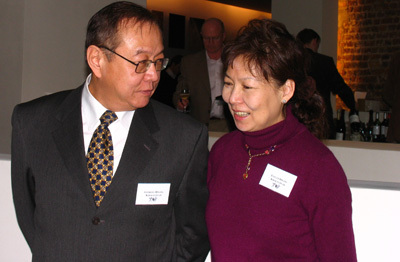 Anthony Hwang, Evelyn Hwang and their son, 33-year old Stefan (Hugo) – DOB: October 1978, are also directors of Société Huet (source: http://www.societe.com). 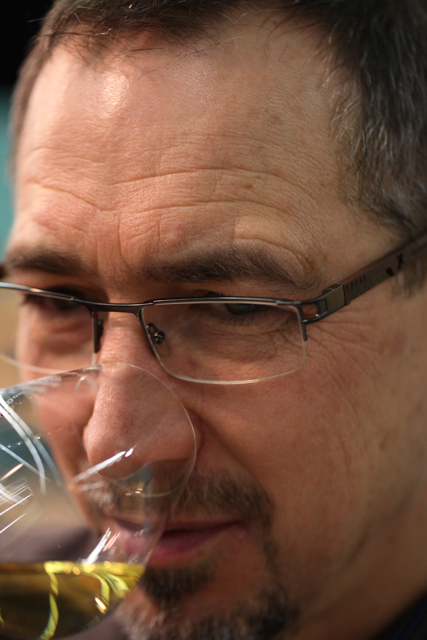 Noël is also in charge of another company – SARL Gaston Huet, which is owned by the Huet family. 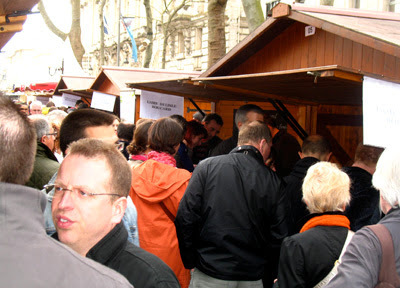 The company, which was set up in December 2003, owns the entire stocks of the old Huet vintages from 1975 to 1921 as well as the remaining stocks of 1989. 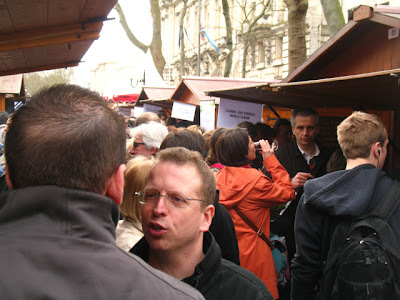 I understand that Noël resigned for the reasons outlined on Friday by La Revue du Vins de France. Although nominally in charge, he found himself no longer making the important decisions. He was not allowed to take the necessary risks often required to make great moelleux in Vouvray. The risk of waiting for the right moment, while trusting that the weather will remain favourable. 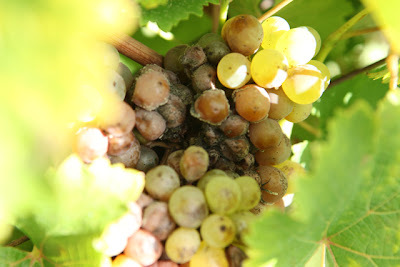 2011 vintage: Chenin Blanc in Vouvray: good or bad rot? 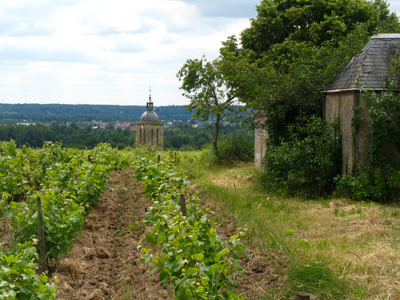 The risks involved in Vouvray and Montlouis tend to be considerably higher than they are in the Layon or L’Aubance. Dry white – Vouvray sec – was to be made rather than risk waiting to make demi-sec or moelleux as the sec is easier to sell. Domaine Huet has always had the policy of only making demi-sec or moelleux when the conditions permit. No question of chaptalising to create artificial sweetness. 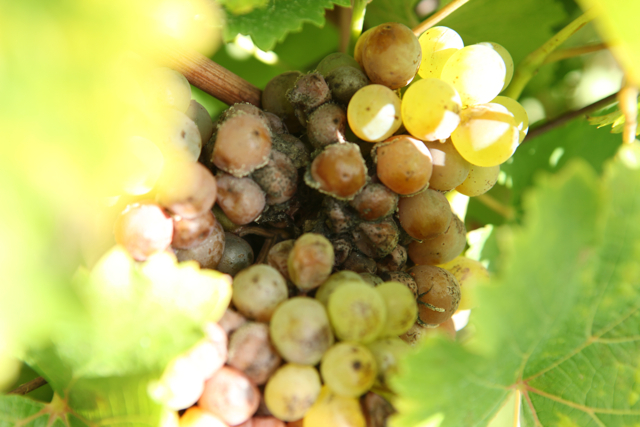 An emphasis now on dry wines might also permit raising the yields. Over the decades at Huet there have been many years when only dry and sparkling wines were made. In contrast in an exceptional year like 2003 a high proportion of demi-sec and moelleux wines were made. Apparently there were also several orders to well-established and important customers that were suddenly cancelled at the last minute. In essence Noël found that, although nominally in charge, he was no longer allowed to run the business. I understand that Noël decided that he could not continue in these circumstances. 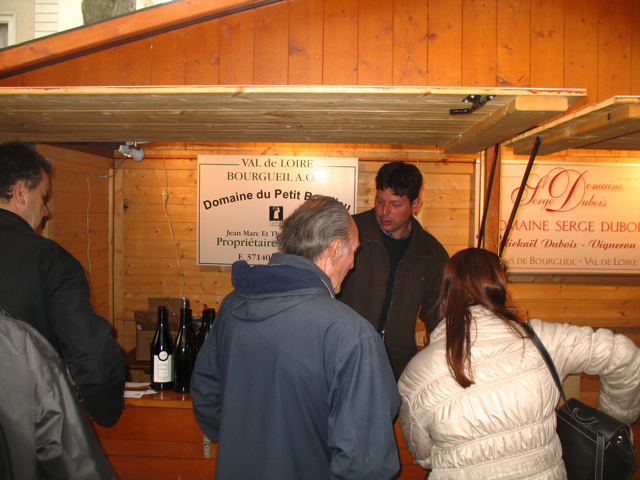 Noël was present at this year’s Salon des Vins de Loire (6th-8th February) as was Anthony Hwang and his son and daughter Sarah and Stefan Hwang. 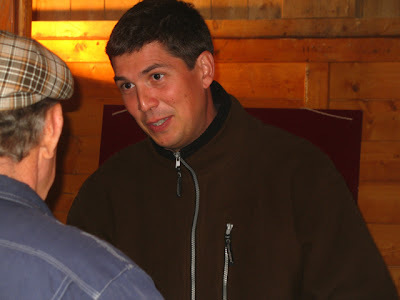 On Thursday 9th there was a meeting in Vouvray attended by lawyers and translators where Noël’s departure was finalised. 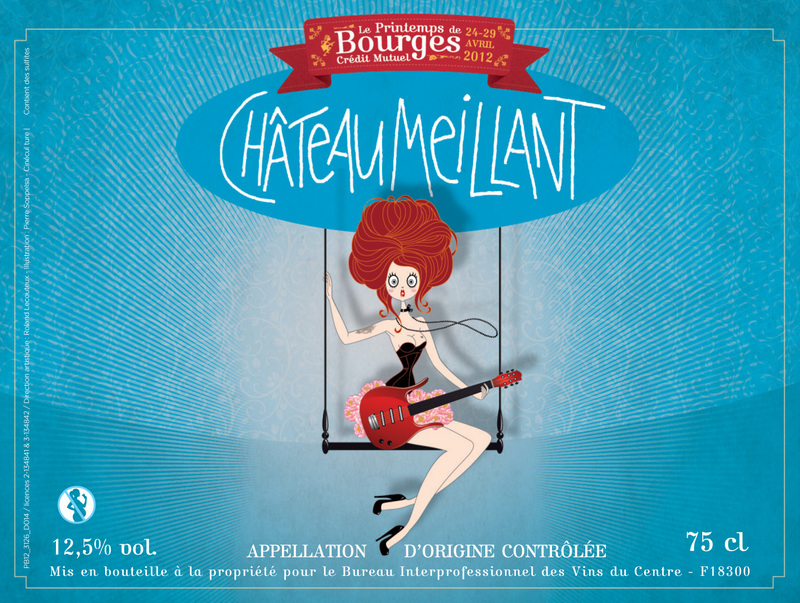 So where does this leave Domaine Huet? 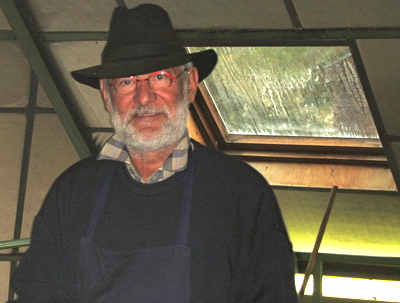 Heading towards 67 – he was born in May 1945 – Noël was due to retire soon – planned for 2015. But another three years would have made the hand-over much more smooth and assured. Sarah Hwang (DOB: April 1982) was appointed president with her brother Stefan as managing director on 9th February 2012. 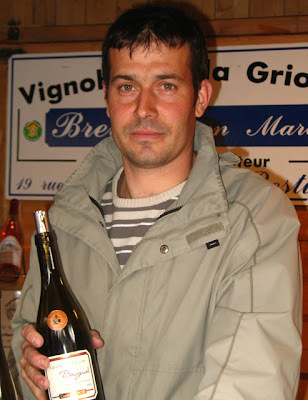 Last May I was introduced to Benjamin Joliveau, whom Noël has been grooming as his successor, while Jean-Bernard Berthomé will continue as cellar-master/vineyard manager. However, Berthomé’s chief responsibility is in the vineyards and at vintage time he was usually out in the vines with the pickers. 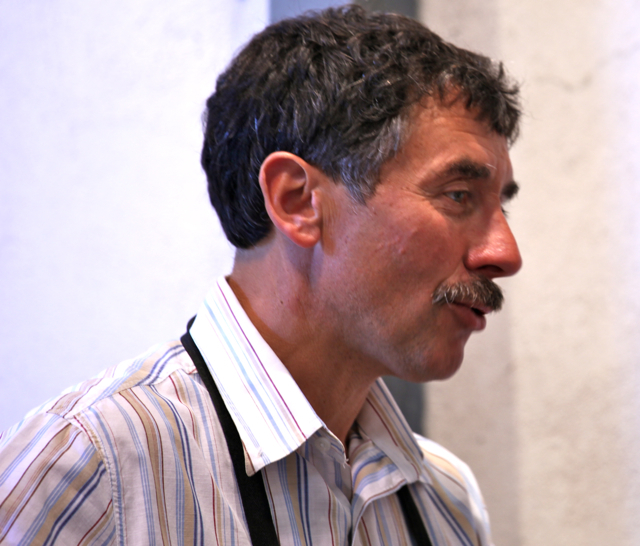 ‘In late October 2011, Noël Pinguet informed my family of his desire to step down as President of Domaine Huet, and indeed, his resignation was finalized in a meeting on 9 February 2012. Although we knew of his intention to retire in 2015, this news came as a surprise us. I must say that it was difficult for us to see Noël step down, having been a part of the estate for so many years. As was our intention when we made our initial investment into the winery in 2003, my family and I are now involved in order to ensure the continuation of this estate and its remarkable story. 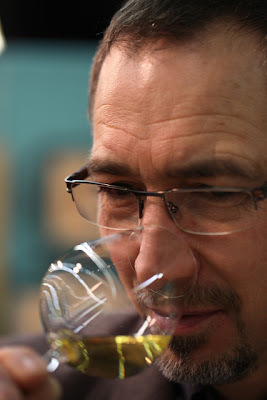 At the time of our investment in 2003, my family made the conscious decision to give Noël the freedom and responsibility to run the winery as he pleased and to make great wines. This allowed Noël to continue to follow the philosophy that the estate has upheld for many years. That is, to produce what nature gives us. To be clear -- this is an idea that the Hwang family values and respects; it ensures quality and precision, two things essential in maintaining the estate’s stature. Looking forward, I can assure you that this philosophy will remain. Regarding your comment that several large orders to established clients were suddenly cancelled, I think that the information you’ve gathered might not be accurate. 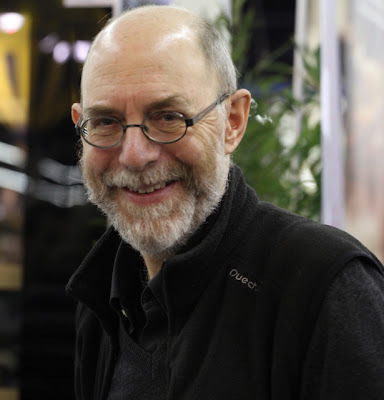 We value our relationships with all of our partners, and as I’ve mentioned, Noël had full decision-making control of Domaine Huet until 9 February 2012. In the future, the estate’s intention will be to see to it that we have an open dialogue with all of our clients. There are two members of our current team who have experience at the press – Jean-Bernard Berthomé and Benjamin Joliveau. Both of these men will play prominent roles in Huet’s future, with Jean-Bernard taking over the duties of head winemaker. He will have full control of viticulture and wine-making. We are extremely fortunate to have a person in Jean-Bernard, who has shown a passion and dedication to Domaine Huet over a span of 33 years. 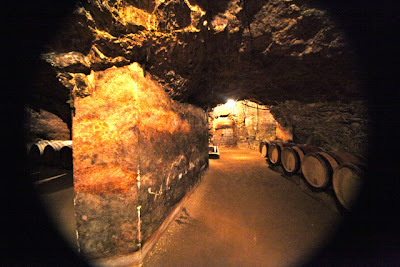 In fact, his father worked alongside Gaston Huet in the fields and in the cellar. He has a strong and honest love for the estate and has unmatched technical expertise in both the biodynamic viticulture and the estate’s winemaking practices. There is no question that he will continue to uphold the traditions and quality expected by all. 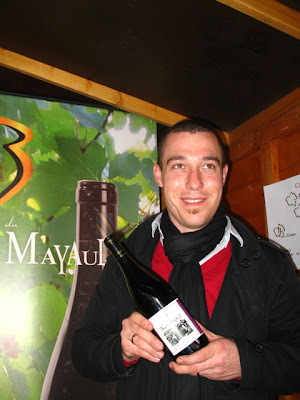 Domaine Huet is a great domaine and I hope it will long remain that way. 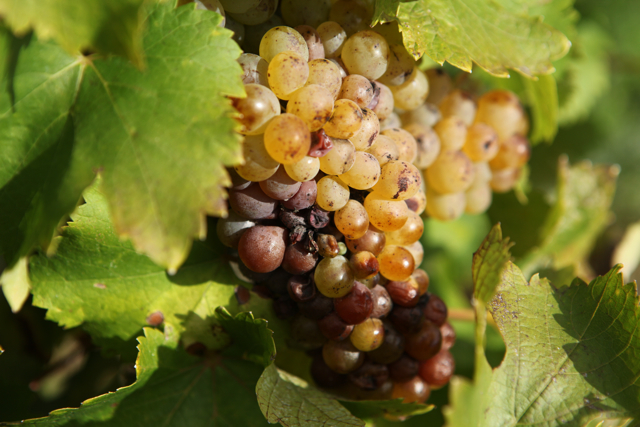 Both Noël and Sarah Hwang have said that there will be no change to the policy of making the range of wines permitted by each vintage. I hope this will indeed be the case as, fine as the Huet secs are, the true hallmarks are the Huet demi-secs and moelleux. Noël is a true professional. 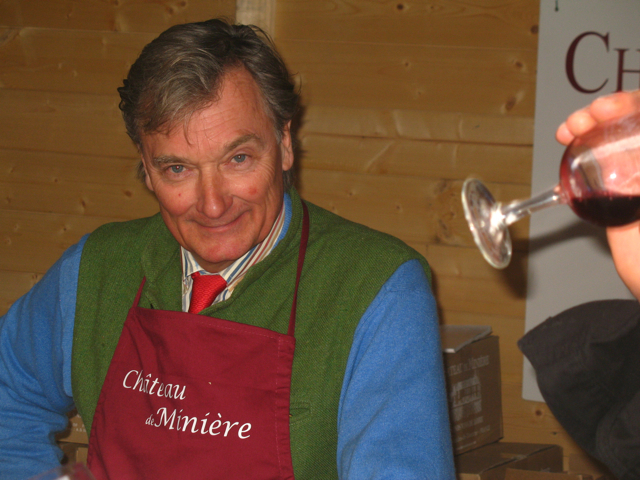 Although sadly I didn’t taste with him at the Salon this year – thinking I would do so when over in Touraine in March – I spoke to him on several occasions and he looked relaxed and happy. He gave no hint that he was leaving. With each succeeding Salon des Vins de Loire I find it increasingly difficult to get to visit and taste with all of the producers I would like. 2012 was my 23rd successive year, so there are now many producers that I know who I should see but also I need to try to make new discoveries. Having enjoyed several bottles of the Jean Pabiot Prestige Les Fines Caillottes over the last couple of years – the most recent was the 2009, which is stocked by Majestic Wine – I made sure that I went to see Alain Pabiot during the Salon. 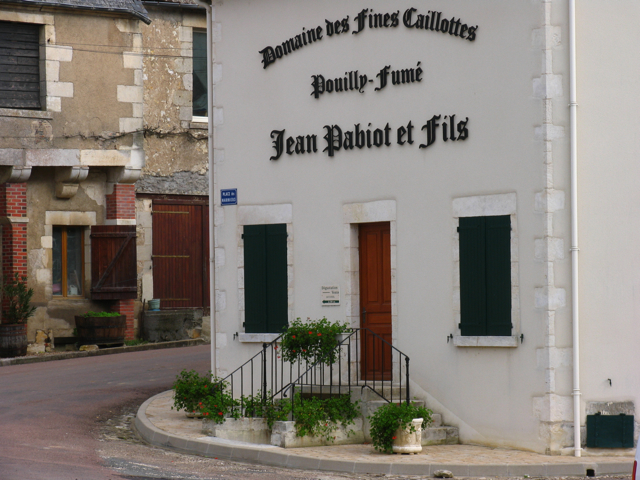 Domaine des Fines Caillottes – Jean Pabiot et Fils dates back to the end of the 19th century when Louis Pabiot, Alain's great grandfather, cultivated some 2.2 hectares of vines at Les Loges. 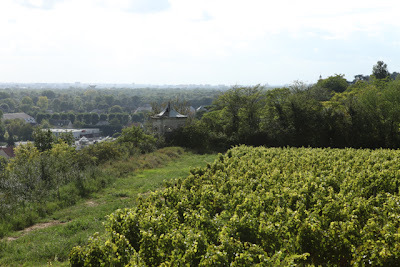 The area under vine gradually increased as Gaston (Alain's grandfather) took over and was in turn succeeded by Jean and then by his son Alain, who started in 1978. By that time there were 7 hectares of vines. Alain – joined in 2004 by his son Jérôme – has expanded that to the present 28 hectares. 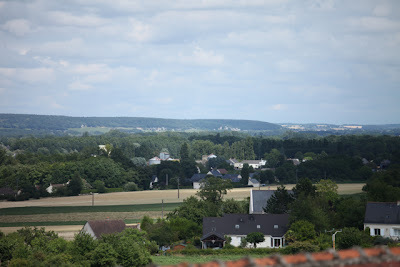 The Pabiots have 30 parcels spread across five communes – Pouilly-sur-Loire, Tracy-sur-Loire, Saint-Andelain, Saint-Laurent-l'Abbaye and Villiers. We started with the grapefruit and citric 2010 La Merisière, Sancerre – the Pabiots have no vines there but buy in grapes from growers in Chavignol and Verdigny from vines planted on both the caillottes and on silex (flint). Then the 2011 that seems to have less weight but greater minerality than the 2010, which is rather the reverse of the general trend but it may well take on more weight over the next few months. Also the amount of carbon dioxide in all these wine may make them appear leaner than they actually are. Then on to the Pouilly-Fumés. The 2010 Fines Caillottes has an attractive mineral character with weight and texture, is slightly saline with good length, while the 2011 tank sample appeared to be leaner. Next the 2009 Prestige des Fines Caillottes, which I have already previously enjoyed. 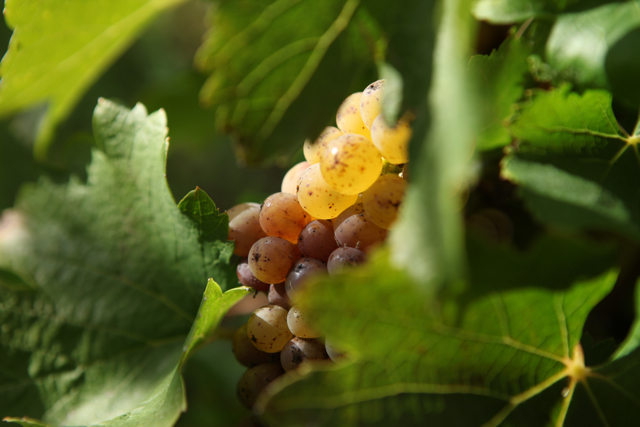 The Prestige comes from older vines planted on a range of soils – clay-limestone, marnes with small oyster fossils and caillottes (limestone). It is only made in the best vintages. The 2009 is slightly smoky with good concentration, mouth feel with a touch of butter. 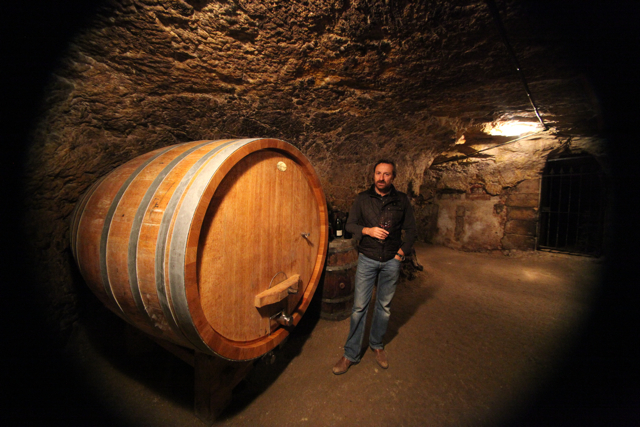 We finish with the 2008 Cuvée Séduction, which is fermented in wood – a mix of 228 litre barriques and 600 litre demi-muids. The wine spends a year on its lees before being moved to vat to spend further time before being bottled in 2010. 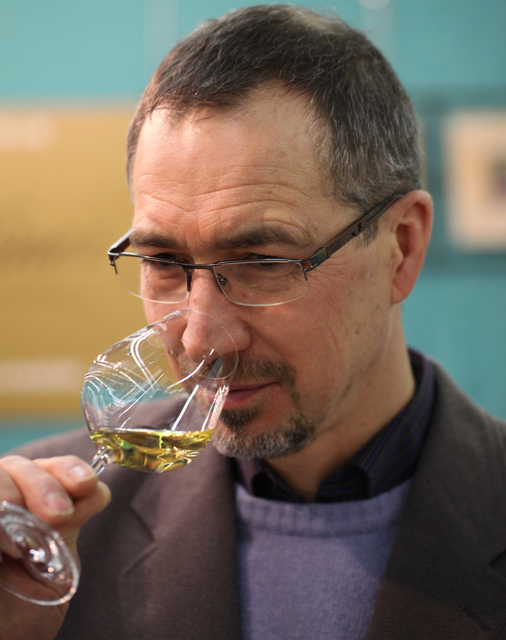 Séduction has an explosive buttery nose plus a touch of vanilla with rich length and considerable ageing potential. I have just received the following message from Noël Pinguet. He says his departure is much more calm than painted in La Revue du Vin de France. Noël has decided to leave now he is 67 (born in a fine vintage) and after 40 vintages, including some in Hungary. He will be spending more time at his house in Noirmoutier, on the Vendée coast, fishing and seeing more of his grandchildren. Heureusement mon départ du domaine est effectivement beaucoup plus calme que le laisse entendre la RVF? à 67 ans et après 40 ans de vinification je laisse la place à la nouvelle génération et j'ai totalement confiance dans l'équipe qui travaille avec moi depuis longtemps pour continuer avec le même esprit la production et la commercialisation des vins du domaine qui je suis sûr te donneront toujours autant de plaisir. Je continue toujours à vendre avec la famille Hwang les vieux millésimes de la famille Huet, nous aurons donc encore le plaisir de partager de bons moment autour d'un verre de "Huet"
Je vais profiter maintenant plus souvent de notre maison de Noirmoutier, de la pêche et de mes petites filles. 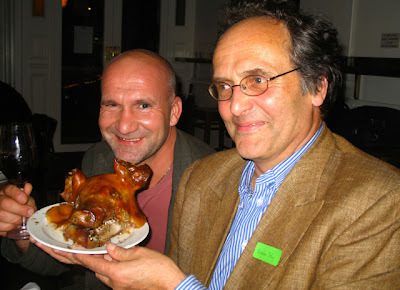 See also fine post on Noël's departure from Chris Kissack (the wine doctor) here. * The old stock is owned by a separate company – SARL Gaston Huet. 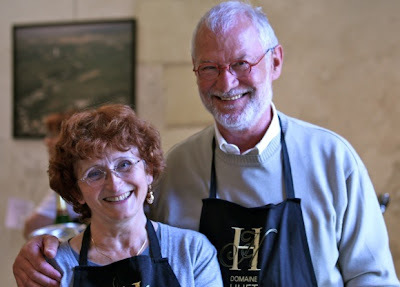 This company is owned by the Huet family and is run by Noël owns all the vintages between 1975 and 1921 plus all the remaining stock from 1989. 26th February 2012: See update here. Details of Bourges annual music festival – Le Printemps de Bourges – 24th-29th April are now available. 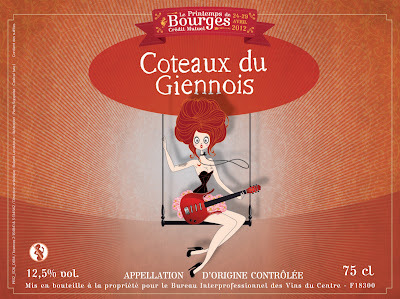 This is the 36th edition and the 18th edition that Les Vins du Centre has been a partner. 1800 bottles from the Central Vineyards have been specially labelled and will be served at events during the festival. 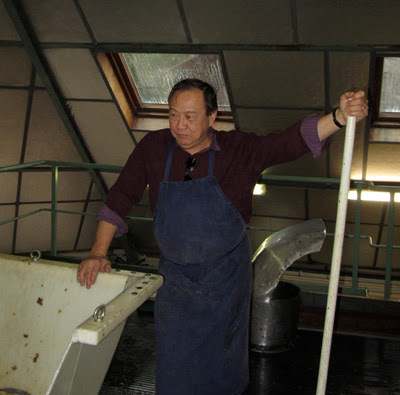 La Revue du Vin de France is reporting that Noël Pinguet has abruptly left Domaine Huet in Vouvray over a disagreement with its majority owner Anthony Hwang. If correct this is very sad as Noël has been running the estate since 1976. 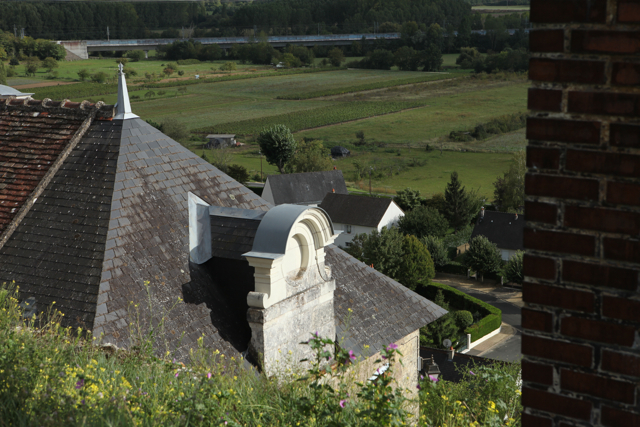 Domaine Huet is one of the few Loire estates that is widely recognised as world class. 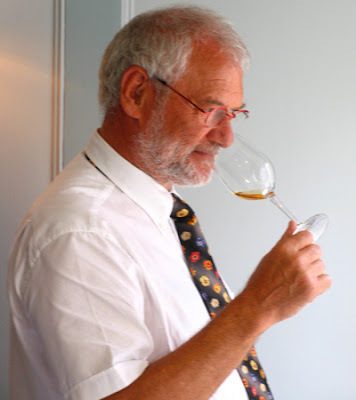 It is very sad and a shock if it has ended this way because, although Noël's relationship with his father-in-law, Gaston Huet, was often not easy he became the embodiment of the estate just as Gaston was before him with the same high principles and absolute commitment to quality. It is also a shock because the relationship between Anthony Hwang and Noël appeared to be good with Anthony saying how much he admired Noël. Indeed Hwang once called Noël a 'magician'. 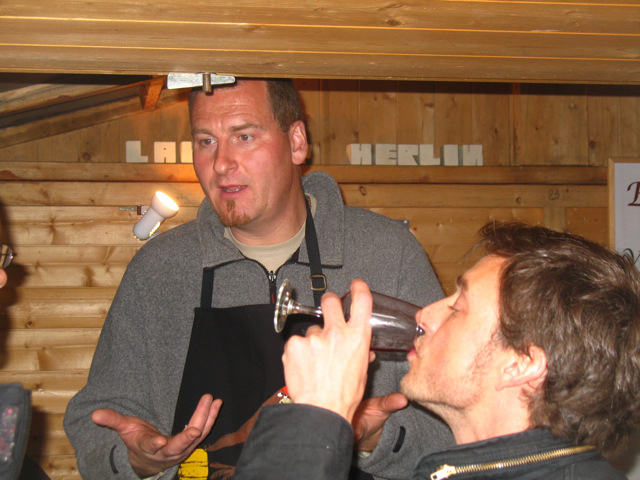 The disagreement is reported to have been over Anthony's wish for more dry wines to be made. However, mainly dry and sparkling wines were made in the last two vintages. 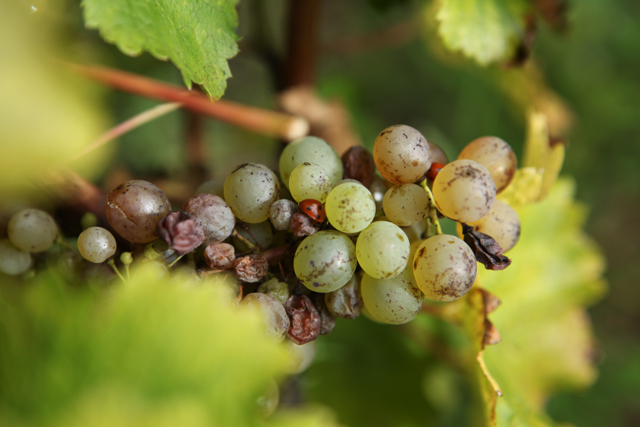 Furthermore when Hwang bought the majority share the vineyard – Vodanis – in Rochecorbon was dropped because Anthony didn't consider the quality was sufficiently good. 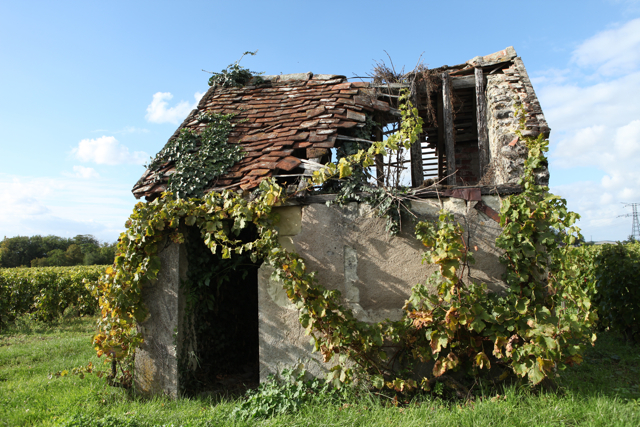 Domaine Vodanis is now a completely separate property with part of the vines on long term rent from Domaine Huet. Noël had intended to retire in the next few years – he was born in 1945, so is or will be 67 this year. Hwang told me a couple of years ago that he has persuaded Noël to stay on rather than retire. LRVF says he intended to retire in 2015 and his nominated successor, Benjamin Joliveau, was present at the domaine's Portes Ouvertes last year. 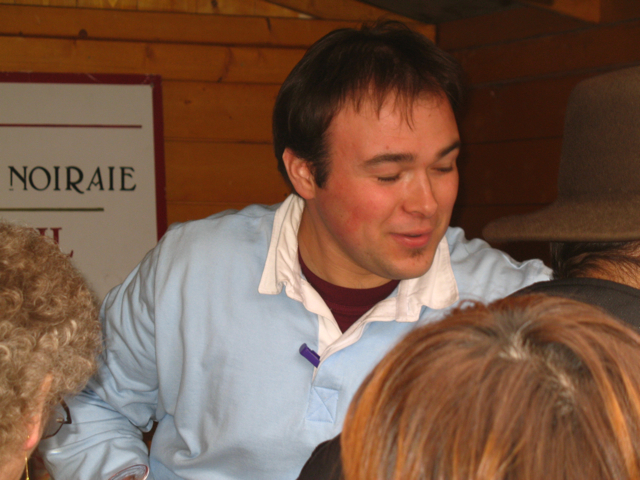 I understand that the long time cellar-master/vineyard manager, Jean-Bernard Berthomé will continue and that Sarah Hwang will become commercial director. My thanks to David Schildknecht for the following statement from Blake Murdock, Huet’s US importer. Apparently an announcement was due to be made on Monday. The parting is also apparently considerably more amicable than reported in LRVF. ‘Noel will be a loss to this estate, but I think that we owe it to the estate and its continuing arc of history to put his departure in context. In other words, this will not mark the end of Huet's long period of greatness. The quality will not change. In fact, the quality and consistency have only improved in the Hwang era. 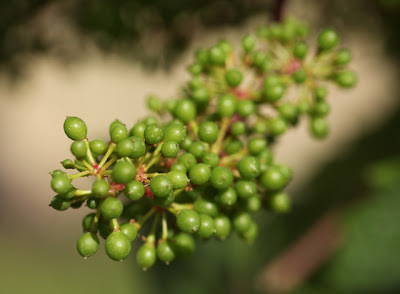 And I think that committing to a larger proportion of Sec wines (which, as the RVF article noted, has been encouraged by the Hwangs) will only strengthen the demi-sec and dessert wines at this estate – refining the selection of fruit for these cuvées. The long time cellar-master/vineyard manager, Jean-Bernard Berthomé, and Noel’s hand-picked successor, Benjamin Joliveau, are both staying on and committed to building on the strong base they’ve inherited from Noël (and Gaston Huet before him). I hope Blake Murdock is correct that Noël's departure is indeed less acrimonious than has been reported in LRVF. It is a measure of Noël's achievement and that of Gaston Huet before him that his leaving is big news. I can think of no other Loire estate, except possibly the Foucaults, where a story of someone leaving would have the same impact. 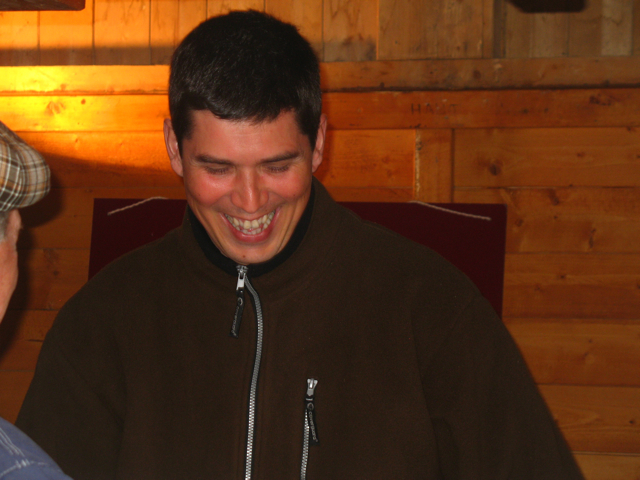 Update: Saturday 25th February – message from Noël Pinguet – departure much more calm than suggested. Certainly hope so, although Noël's leaving appears to be more abrupt than had been previously indicated. Jim's bid for Z-list celebrity now on-line! 'Yaya Touré' has another 'birthday party'! 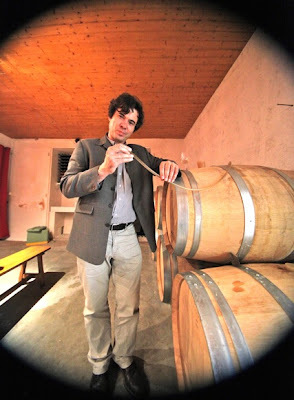 Impressario Campo MW returns to his roots? Top of the Shard to you!